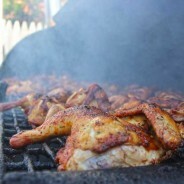 Real BBQ Gallery - Restaurant, Catering and Take Out for Harrisburg, Lancaster, and Westminster. 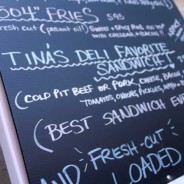 Home » Real BBQ Gallery - Restaurant, Catering and Take Out for Harrisburg, Lancaster, and Westminster. To keep this short and sweet... Hog Wild is my absolute favorite BBQ place! 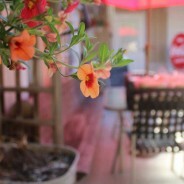 Good location, easy parking, friendly staff, delicious food, nice outdoor seating and BYOB. Cash only! Rick Gulan and wife Tina converted their three-car garage into the special place it is today! Rick’s Hog Wild Catering and BBQ Carry Out in East Berlin is a restaurant that started as a hobby but grew into a full-time family business. Our award winning “Rippin’ Ribs” gently pull off the bone and keep customers coming back for more. Never to be confused with other Hog Wild’s across America, Rick’s Hog Wild smokes our meat for 10 – 12 hours over real wood! It’s a nice, cozy place on the inside, with outdoor seating on a patio. Located in lovely, colonial East Berlin, it’s small town comfort with the delicious fragrance of smokin’ barbecue in the air!